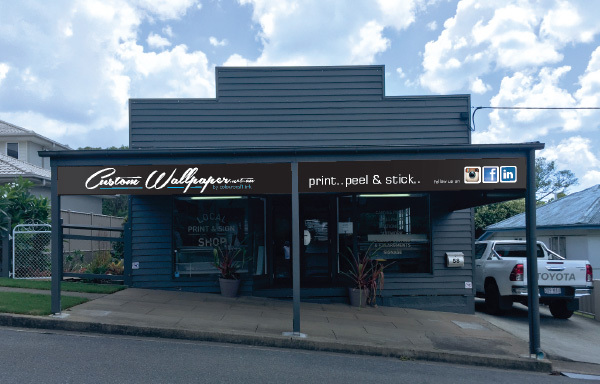 Custom Wallpaper by Colourcraft Ink is a small boutique company situated in Brisbane with over 30 years experience supplying professional quality signage and can help you change how you decorate forever. Our fully qualified tradespeople are happy to supply your wallpaper requirements and our large format digital photo printers can turn your photographs into breathtaking works of art. Why settle for plain boring non-inspirational white walls when you can transfer them into a stunning feature. By using your imagination and resources available why not change them into a highlight of your home, office, ceiling or even shop. Create depth and stimulate interest by turning a dull wall into a talking point. Whether you are after a calming, relaxing image or something quirky and modern why don’t you view our image collection and see our vast range of wall murals that will really impress. Alternatively if you have that “just perfect” picture or some spectacular photographic panoramic why not have it made into a wallpaper for you to view all the time. Whether your aim is to incorporate a room to enhance the feeling of calmness and relaxation, impress or innovate we will be happy to help. Large murals and wallpapers are printed on multiple sheets of self-adhesive vinyl; they are simple to peel and stick on and easily joined together. All in all installation is so easy, anyone can do it! See our Installation Guide. We make it easy for you – all you need do is choose a picture from our gallery of images that will perfectly compliment your space, click on it and then follow the instructions or follow the prompts to upload and create your own.